In honor of it being Tuesday, I found it appropriate for my blog post this week to be centered around “Taco Tuesday”. Taco Tuesday is a popular event that happens in Boulder just each and every week, so might as well enjoy it right? The drink and food deals happening downtown are one’s that can’t be missed. One of my favorite spots to hit is T/ACO, the picture above is actually one that I took on the infamous Taco Tuesday. (I have to mention that T/ACO holds happy hour drink specials from 11 am until 6 pm on Tuesdays.) So after ordering a house marg I decided on one shrimp taco, fish taco, and a steak taco. Safe to say they were all delicious and only $2.50 each! 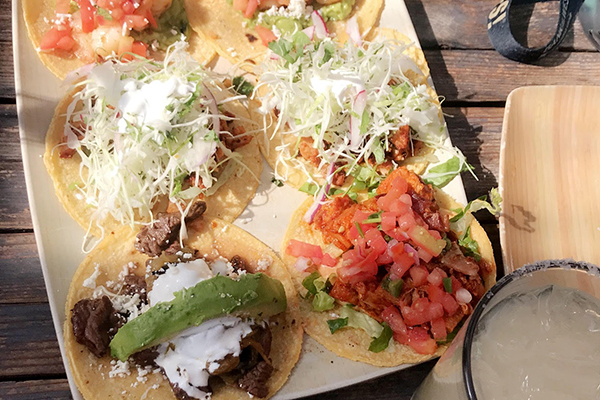 Another great option on Taco Tuesday is to head to Tahona for more $2 tacos from 4 pm to close! Select from their tasty beef, carnitas, chicken, or veggie tacos. Snag one of their happy hour drinks while you’re at it to from 4 to 6 pm. Still haven’t satisfied your taco craving? Centro Mexican Kitchen is up next on the list with a happy hour from 2 to 6pm. Here you can find not just tacos, but enchiladas, taquitos, and more, oh my! The last stop on the list for this week’s Tuesday is the Rio Grande. Head on in for one of their killer margs from 3 - 6 pm. Accompany your margarita of choice with a bite off their happy hour menu.